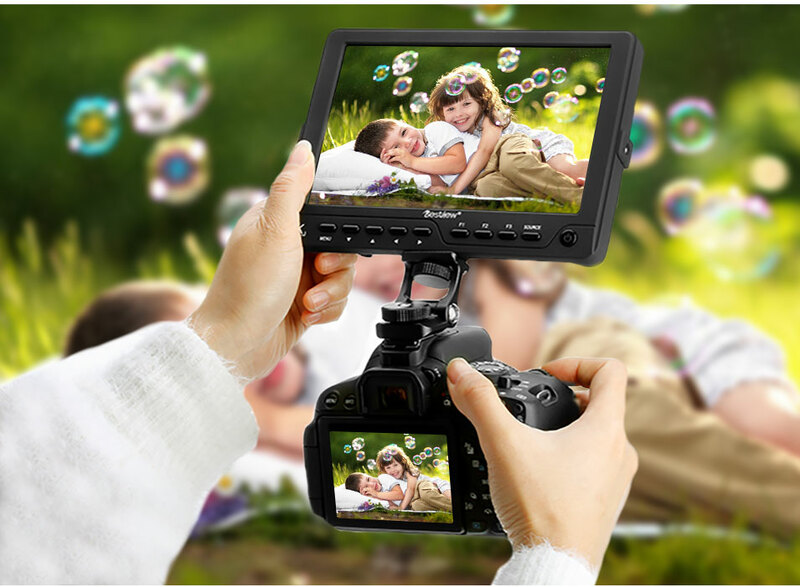 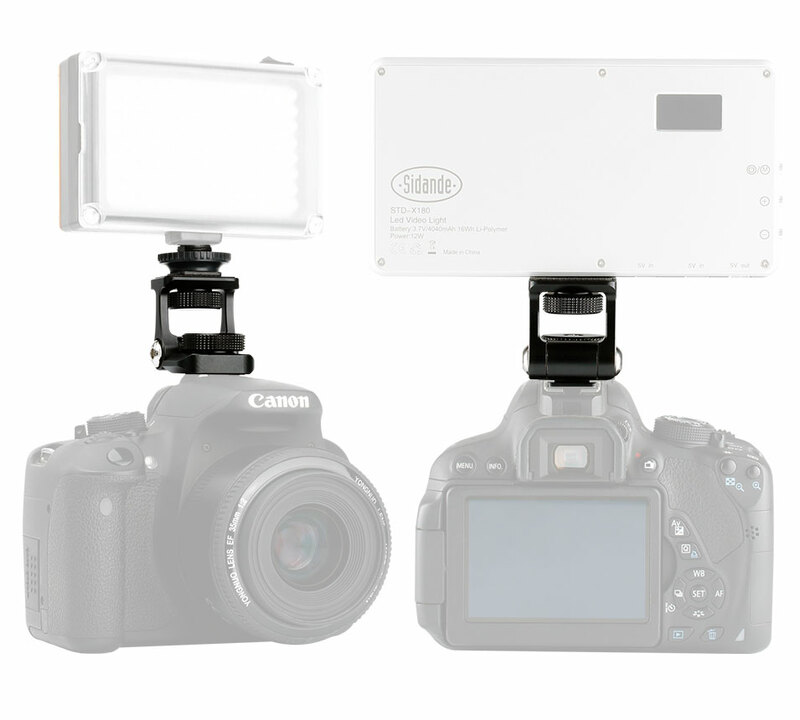 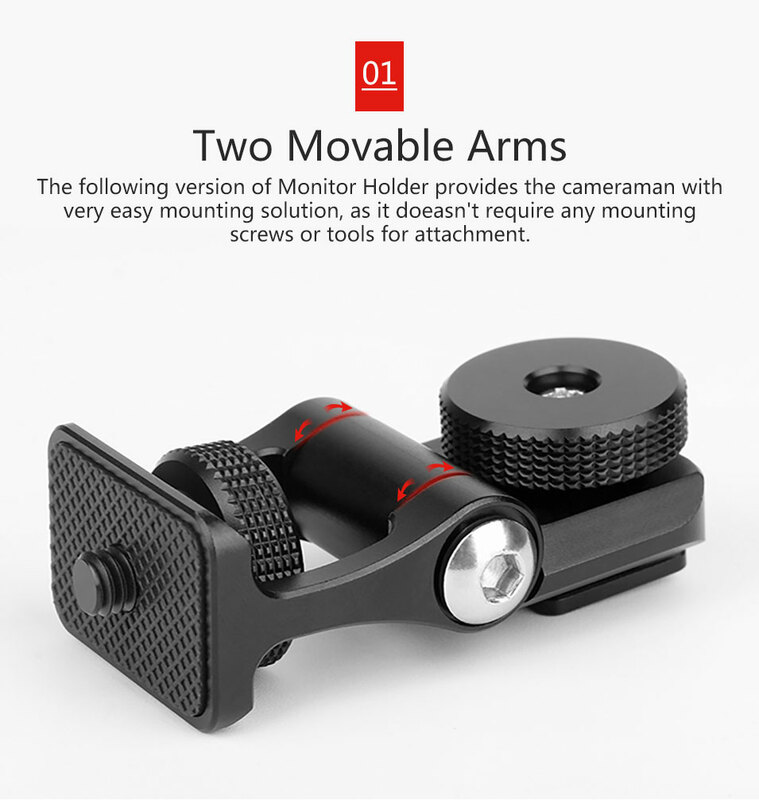 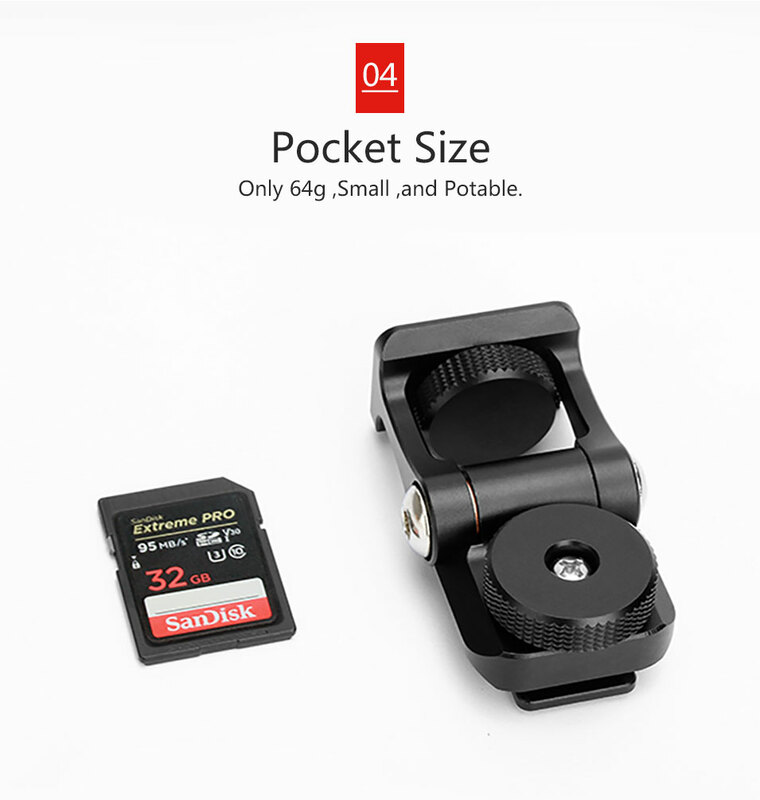 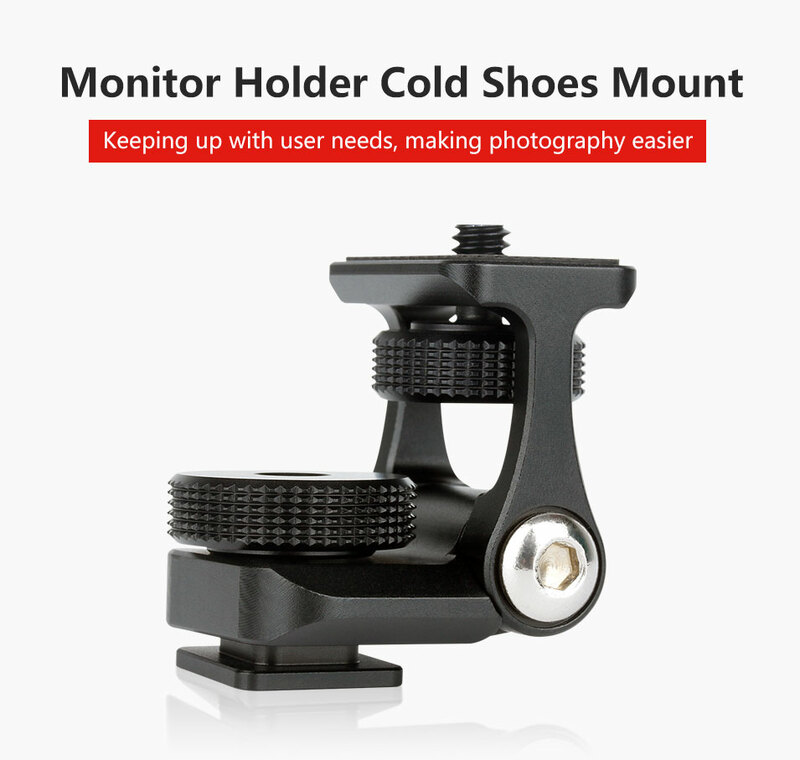 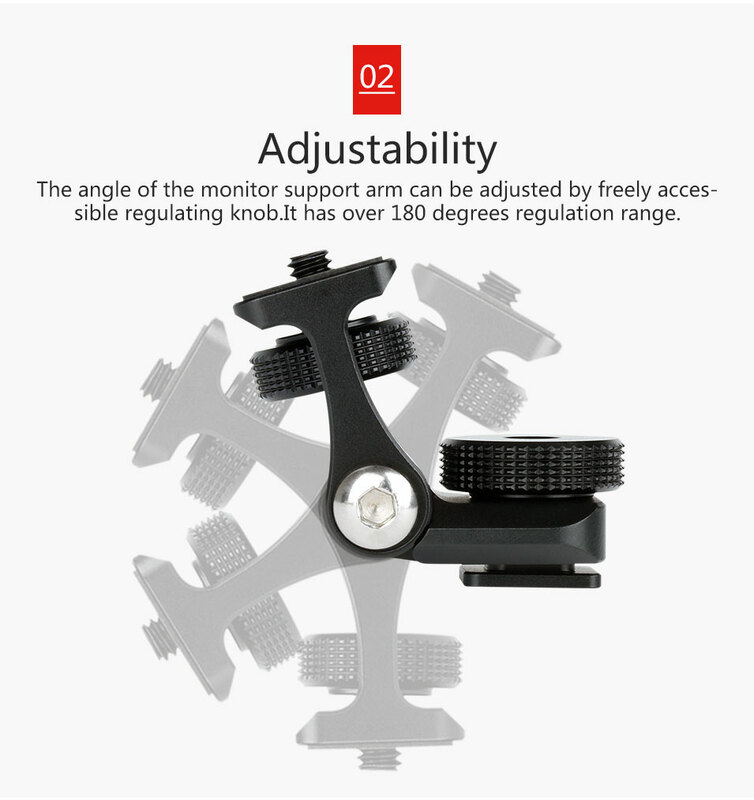 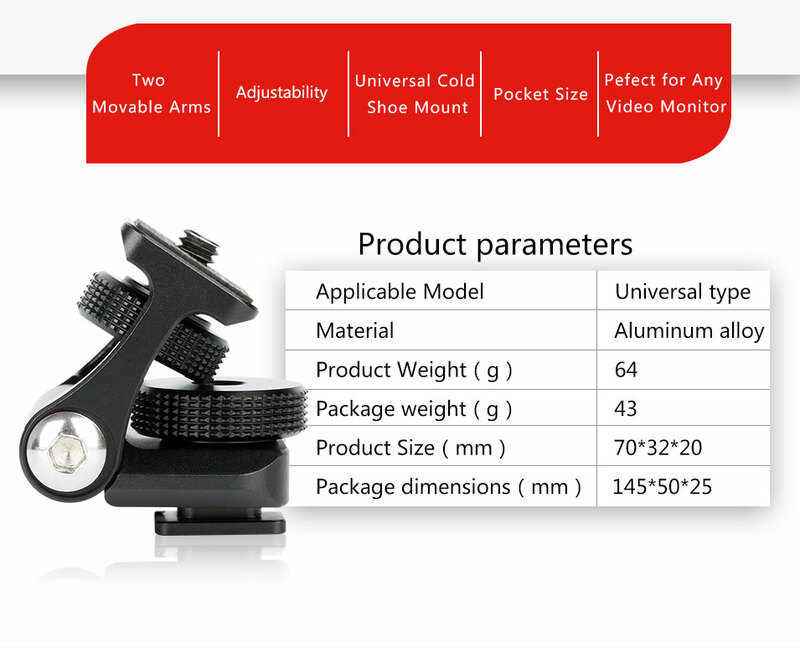 The following version of Monitor Holder provides the cameraman with very easy mounting solution, as it doeasn't require any mounting screws or tools for attachment. 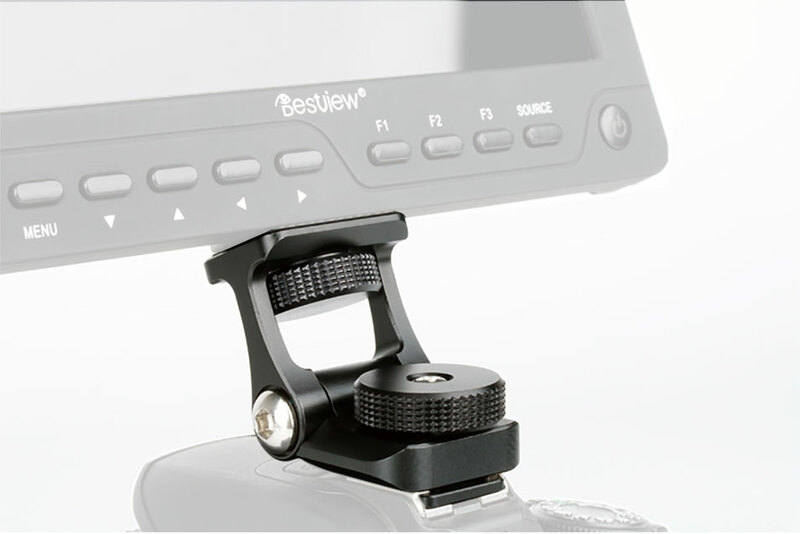 -one thumb screw for mounting the monitor on the holder. 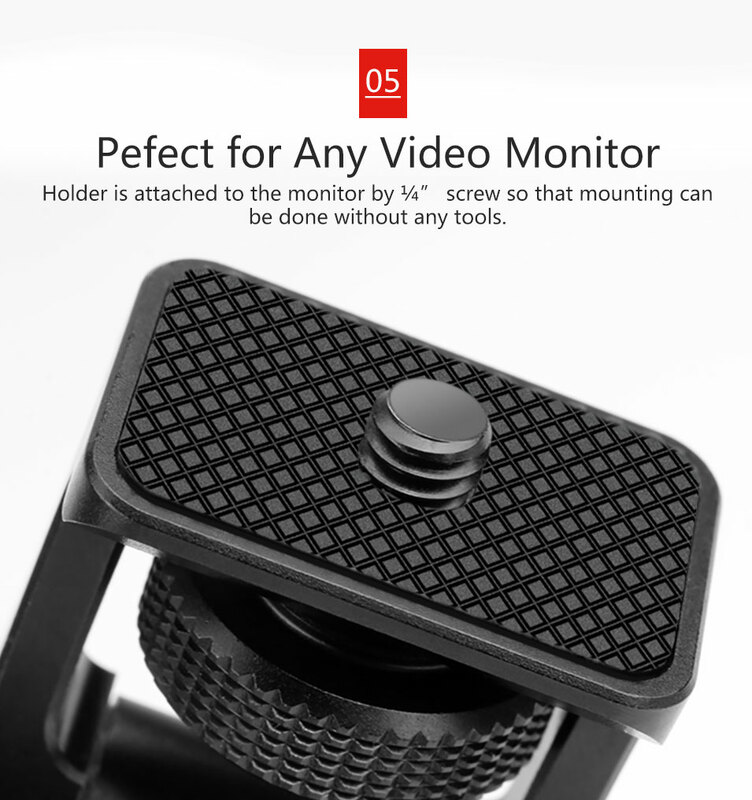 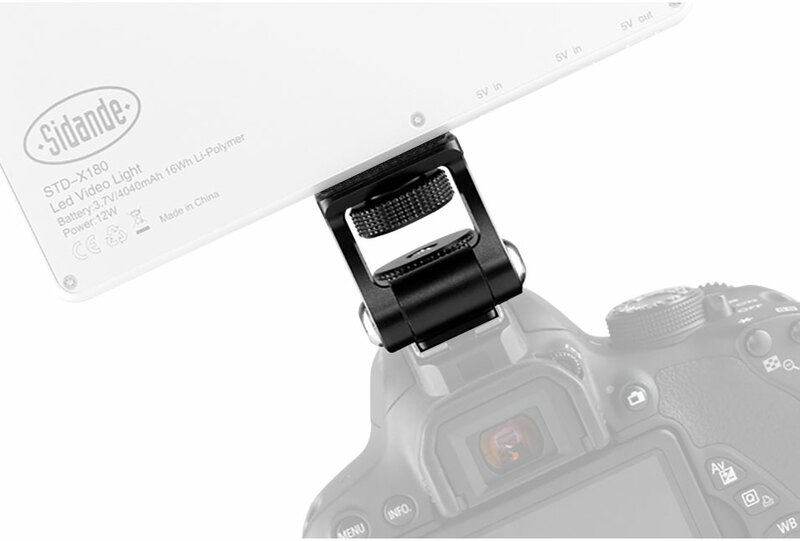 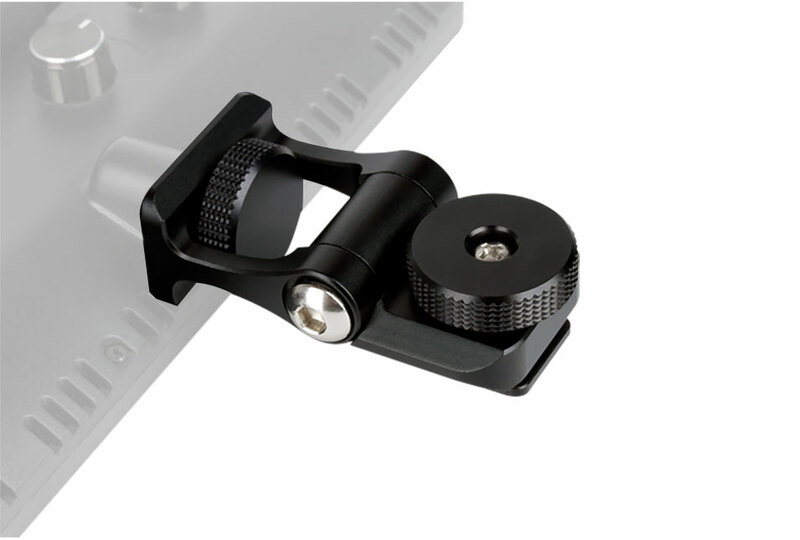 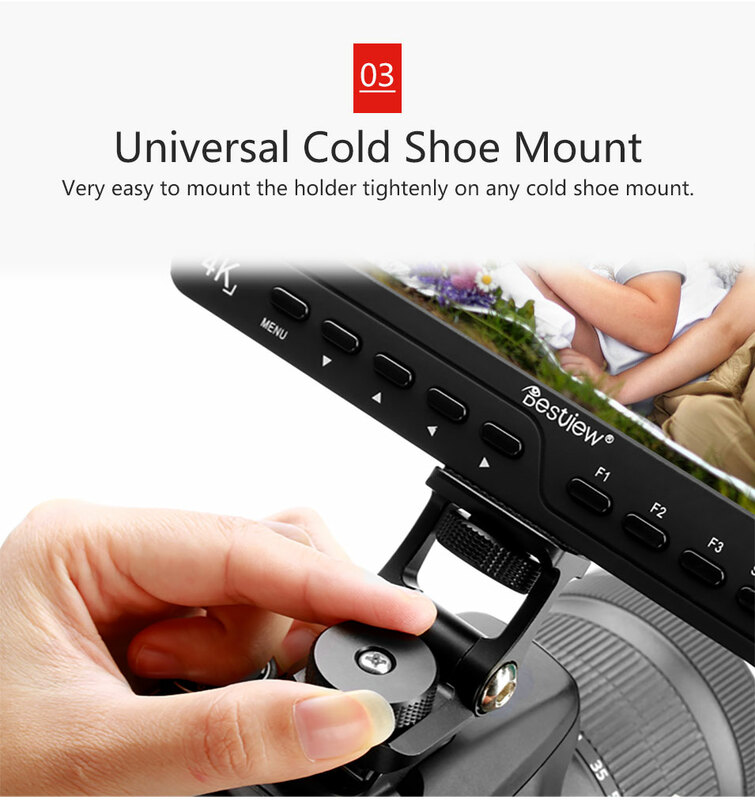 -holder is attached to the monitor by 1/4” screw so that mounting can be done without any tools.